If you are looking after an aging senior parent, then chances are you know that many everyday activities can come with a few extra challenges. Chances are you also know that special events can be all the more challenging when you are responsible for your loved one’s care. If you are trying to plan a family reunion this season, then making sure your loved one feels included and enjoys this experience is paramount. Family reunions are filled with love, fun and cherishing old memories and they can be extremely enjoyable and beneficial for all seniors, even those suffering from memory loss or dementia. However, while family reunions can be very positive and enjoyable they can also come with some extra stress for seniors—which is why proper planning is so important. Here are some tips on how to plan a family reunion with your aging senior parent. Keep the schedule in mind. A family reunion may be one giant party for younger family members, but it can be overwhelming for seniors who are used to a regiment schedule. Work with the individuals planning the event to make sure that meal times are around your loved one’s normal times and that there will be an opportunity for your parent to rest. After all, everyone will want grandma or grandpa to be able to participate. Encourage activities where younger kids can spend time with your loved one. This not only gives both parties a chance to bond but it can bring a great deal of joy to your aging parent. Family reunions are all about bringing together family members that don’t get to see each other on a regular basis. Remember that memories can often be triggered by visual cues, so if you are worried about your loved one keeping up with all of the reminiscing, consider bringing photo albums, family trees, documents or other visual cues that can help them remember. Don’t try to push your loved one. 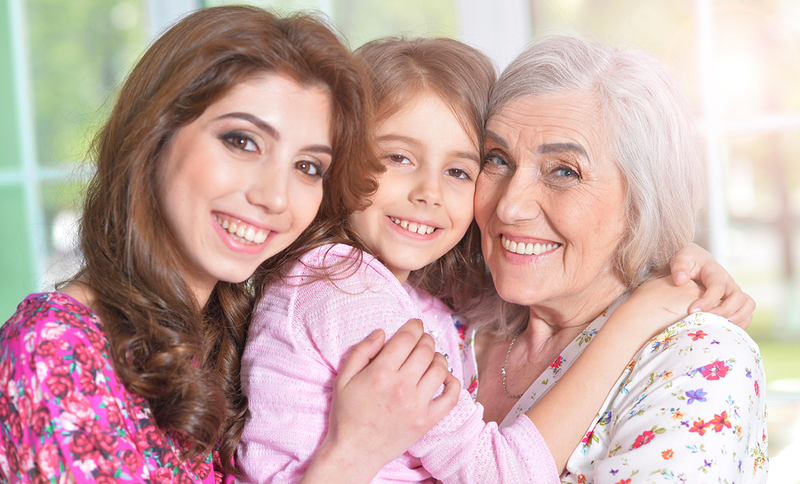 While everyone in the family may be excited to see grandma or grandpa at the reunion, if you try to keep them involved in too many activities, the reunion can turn stressful instead of fun. If you have a big family, consider name tags. They may not be necessary for younger family members who know everyone’s name, but they can be of great help to seniors who may be foggy on a few names. Take lots of photos so your loved one can remember all of the fun of the family reunion. Make sure that someone is always with your loved one, helping them eat, go to the bathroom and engage in meaningful conversation. This individual doesn’t just have to be you either. This is a great opportunity for other people to spend quality time with your parent and for them to spend more time with other family members. Keep little tips like this in mind before taking your loved one to a family reunion. It can make all of the difference in how they enjoy this experience.